Green smoothies are not only one of the most healthy drinks around, they are also one of the most delicious! Leafy green vegetables are rightly considered one of the world’s best “superfoods” for their amazing nutritional qualities. Leafy greens are some of the most alkaline forming foods, and they are rich in calcium, dietary fiber, omega 3 fatty acids, vitamin C, many other vitamins and minerals, and even protein! Unfortunately, many people don’t eat enough greens for optimum health. Green smoothies allow you to eat more leafy greens by combining them with another group of nutritional powerhouses: fresh or frozen fruits. 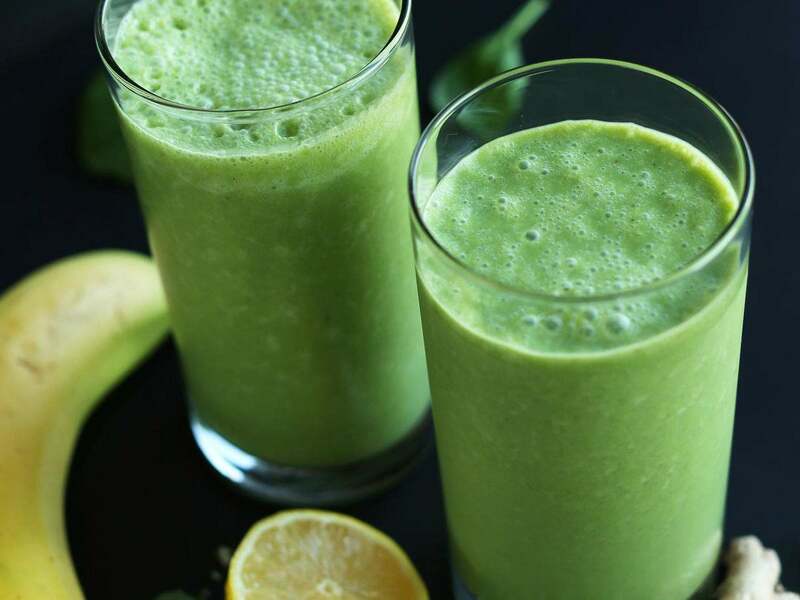 Although it sounds strange to toss a handful of lettuce or spinach into a smoothie, the truth is that the taste of the fruit almost always overpowers the taste of the greens so that you can’t even taste them. A basic green smoothie recipes calls for approximately 60% fruit and 40% greens. Beginners may want to start out with 70% fruit and 30% greens. You should use fruits like bananas, blueberries, raspberries, cherries, strawberries, mango, apples, kiwi or pears. Adding healthy fats, such avocado, or a small amount of coconut oil, flax oil, chia seeds, or ground flax seeds to your smoothie, will add a creamy texture and will also help to slow down the release of the fruit sugar into your bloodstream. About the Greens: Different greens have a different level of flavor. 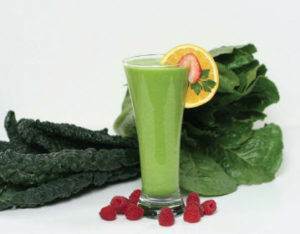 If you are new to making green smoothies then stick with the milder flavored greens like spinach or Romaine lettuce. Moderately flavored greens include kale, swiss chard and collards. More strongly flavored greens include dandelion, mustard-greens, beet-greens, etc. Blend on high speed for 30 to 60 seconds or until smooth. Serve immediately. Makes about 4 cups (32 fluid ounces). Avocados are a Source of Saturated Fat–What? ?